Where are great leaders like Elijah today? Uncompromisingly strong, yet self-controlled. Disciplined, yet forgiving. Audaciously courageous, yet kind. Heroic in the heat of battle, yet humble in the aftermath. We see a few such men and women, but the list is tragically short. Rarely does someone model these invaluable traits more obviously than God's mighty prophet Elijah, whose calling was anything but calm and free from conflict. Nevertheless, as you are about to discover in this book. Elijah exemplified true heroism and genuine humility amid the relentless pressure of battle. 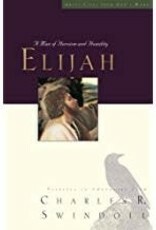 Elijah: A Man of Heroism and Humility is the fifth volume in the best-selling Great Lives from God's Word series by Charles Swindoll. The series also includes such powerful biographies as Joseph, David, Esther, and Moses. 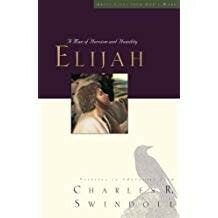 Exploring the depths of Elijah's fascinating life as a prophet of God, Swindoll does not gloss over his human weaknesses; rather, he presents an honest picture of this ordinary man who God transformed into His personal spokesman to confront idolatry and evil in the ancient world. You will find that it's a life worth emulating. In a world that has lost its way, due in part to the lack of balanced, godly leadership, we are more than ever in need of a few Elijah-like men and women who are not afraid to live courageously among their peers as they walk humbly with their God.